If you haven't heard of Carrie from Mere Soeur then please check her out! 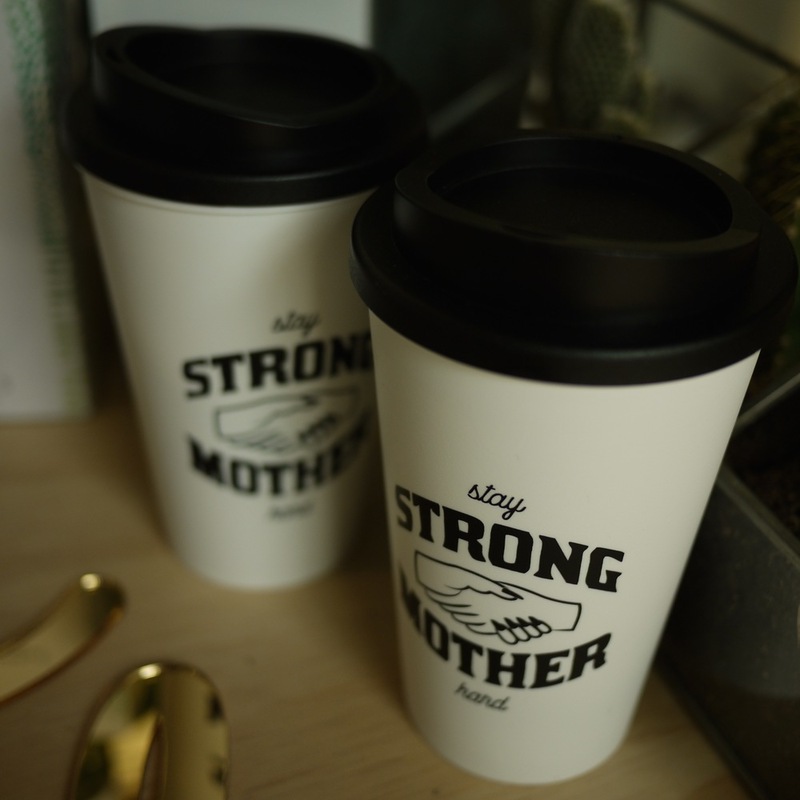 She encompasses girl power, celebrates sisterhood and empowers mums through her mama merchandise (plus she is gorgeous - major mum crush!). We've mentioned her product plenty of times before on the blog as it makes great mothers day and new mum gifts. She's just launched an adult colouring book with a conscience - all profits going to Home Start, a leading family support charity. The book, 'The Art of Motherhood', is inspired by moments of motherhood and symbols of sisterhood and is filled with beautiful illustrations from the like of Sarah Dyer, Cheryl Rawlings, Julia Staite and Nia Tudor. 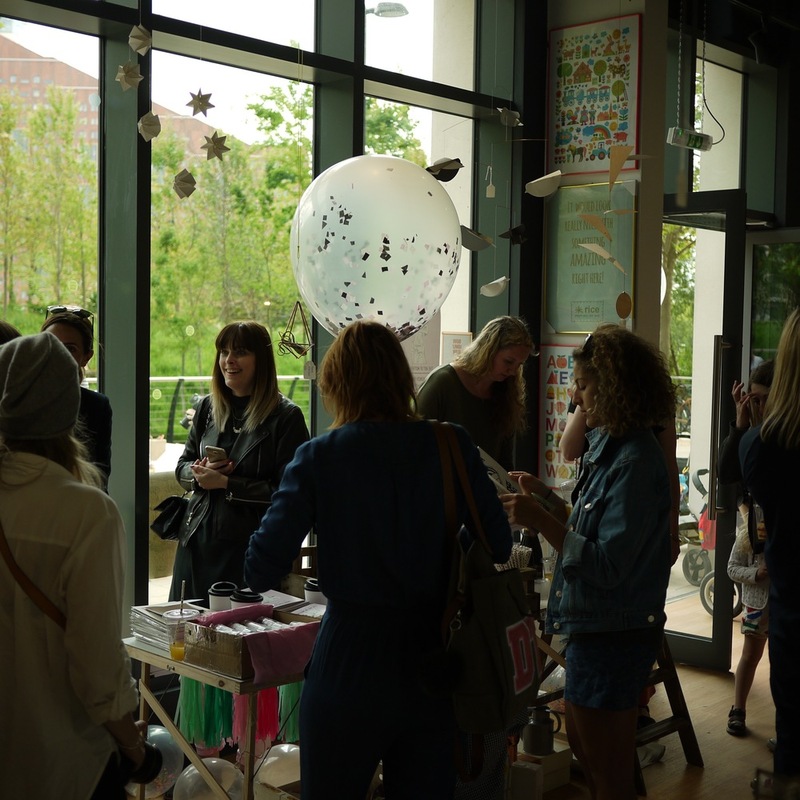 We were lucky enough to go to the launch yesterday, held at cool kid's shop Olive Loves Alfie East (a creative family store owned by mega stylist/interior designer Ashlyn Gibson), right near Westfield Stratford. Here are some pics from the afternoon. We loved the Meringue Girl meringues - almost too pretty to eat! 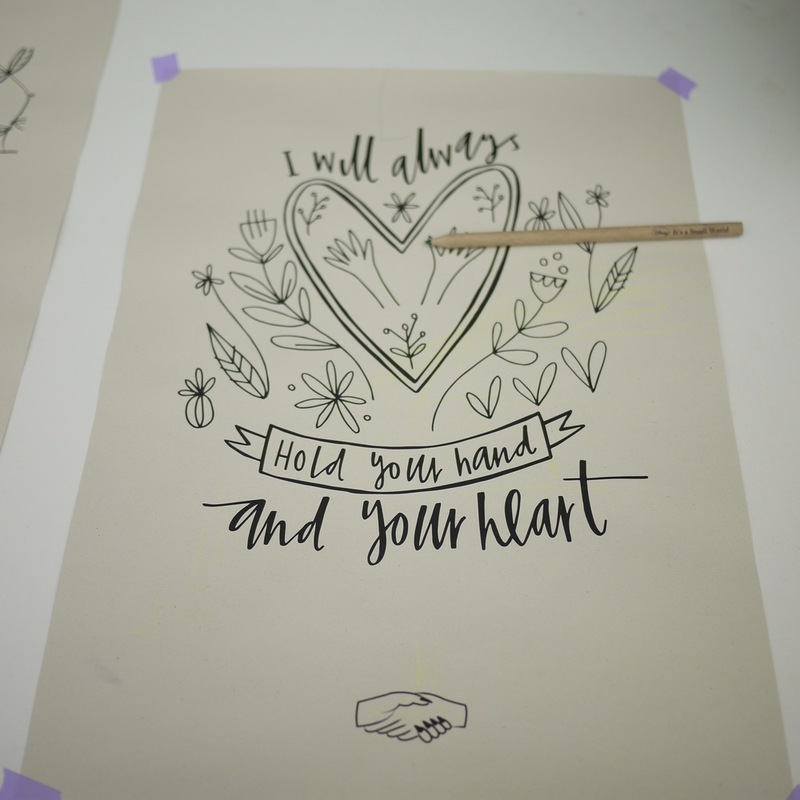 Illustrations from the book were laid out for us to colour in and gorgeous mama merchandise to purchase including the 'Mere Soeur' and 'Raising the Future Tees', pins and 'Stay Strong Mother' coffee cups. Plus of course the main event - the fab colouring book! The illustrations are beautiful and inspiring. Please start selling them as individual prints! It was great to meet some other mums and contributors to the book itself, well done ladies. Thanks for a fun afternoon Carrie and congratulations on producing a brilliant book and launch party! The Art of Motherhood Colouring books are £10 and can be purchased here.